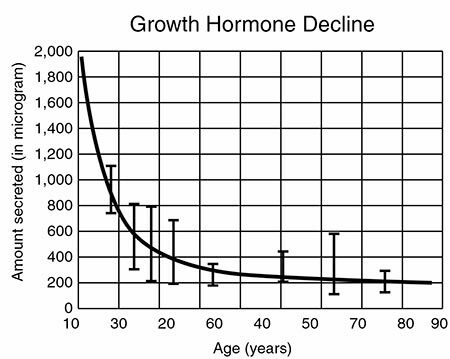 HGH Growth Hormone is certainly nothing new, given that people have been taking it for years to achieve amazing benefits. But lately, I’ve been seeing more news headlines than ever before about athletes and actors taking HGH growth hormones. So, what’s behind this sudden uptick in athletes using HGH growth hormone to boost their performance and actors taking it for anti-aging benefits? I’m going to discuss this matter below along with why you should join the large number of NFL players and celebrities who are taking HGH. The NBA apparently felt that HGH is enough of a problem in their league that they decided to start testing for it this season. Meanwhile, many are calling for stricter HGH testing measures in the NFL because a large portion of the league is suspected of using the drug. Going further, one anonymous player told the Milwaukee Journal Sentinel that “10 to 15” players on every team use growth hormone. So what’s the deal here? Well, two of the biggest benefits of HGH growth hormone include helping you recover from workouts faster and burning fat quicker. So there are some obvious on-field, performance-enhancing perks to using this drug. But perhaps even more important is how HGH can help you heal from nagging injuries much faster. Former NFL quarterback Brady Quinn believes that HGH usage has accelerated due to all the money that’s at stake these days. “I think the usage of HGH or performance-enhancing drugs or supplements is greater now than it has ever been because the money is bigger now than it’s ever been and the punishment isn’t really that bad if you think about it,” said Quinn. 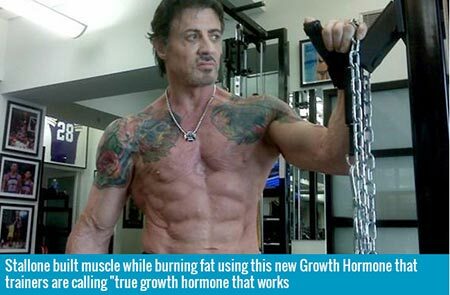 You may have heard before that famous actors and other celebrities are using growth hormone. Perhaps the best-known example is The Expendables and Rocky actor Sylvester Stallone, who’s managed to keep an extremely ripped and athletic appearance — despite being 69 years old! Stallone’s HGH usage is a big reason why he can still star in action movies at an age when some people have trouble going up and down stairs. Unfortunately, the “secret” to Stallone’s longevity was revealed when Australian customs found 48 vials of HGH in his luggage. Other celebrities who’ve used growth hormone to improve their health and appearance include actor Nick Nolte, director Oliver Stone, and actress/health spokesperson Suzanne Somers. These are only some of the celebrities who’ve realized that HGH can do wonders for smoothing wrinkles, melting body fat and improving the quality of your life. Anti-aging – HGH isn’t nicknamed the “fountain of youth” for nothing! This drug repairs your skin, which is a big reason why it gives you a more youthful appearance when used. Fat Loss – Studies have shown that HGH works twice as well as anabolic steroids to promote quick fat loss (1). Of course, if you’re a bodybuilder who uses steroids, you can get an even more enhanced fat-loss effect by adding HGH to a steroid cycle. Increased Libido – A nice side effect of the accelerated fat loss and anti-aging benefits of HGH is that your love life will be stronger than ever. Muscle Tissue Recovery and Repair – Growth hormone has an outstanding ability to speed the repair of your muscle tissues. The end result is that you’ll recover from workouts faster and heal from any injuries you may incur. Muscle Growth and New Muscle Cell Development – While HGH is not as anabolic as steroids, it greatly aids in promoting muscle growth and the creation of new muscle cells. Additionally, this drug encourages the release of Insulin-Like Growth Factor One (IGF-1), which leads to more protein synthesis (2). Overall Health, Happiness, Vitality, and Well-Being – When using HGH, you can expect to improve your overall health, appearance, and sense of well-being. Few Side Effects – Given that HGH is banned by major sports leagues, it gets a really bad reputation for being unsafe. But when taken in moderate doses, the most common side effects that you may experience include headaches, joint pain, and/or water retention. Contrast this to anabolic steroids, where you can suffer from a host of side effects, including acne, hair loss, high blood pressure, liver toxicity, and natural testosterone shutdown. 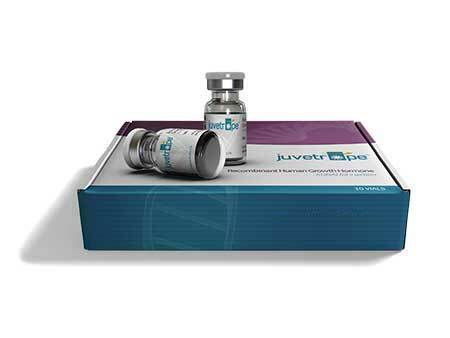 Given that we naturally lose the battle with growth hormone over time, the best answer is to take synthetic HGH to combat the problem. Even a moderate dose of this drug can do wonders for your appearance and physique, no matter if your goal is to become a better bodybuilder or just live a longer, happier life. I should state that HGH is not a miracle drug that will automatically turn you into a supermodel, Mr. Olympia or roll back the clock 20 years in a matter of weeks. However, over time, HGH will help you achieve some impressive anti-aging, health and physique benefits. So I highly recommend that you or anybody else look into synthetic growth hormone and what it can do for you. 2. 9. J Clin Invest. 1993 Feb;91(2):391-6.